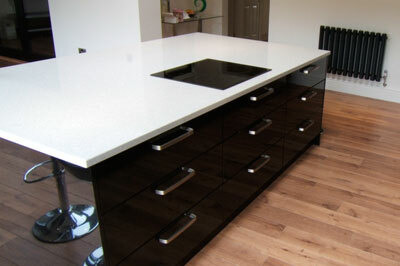 If your kitchen layout allows, an Island unit is a fantastic statement piece in today’s modern kitchen. It can incorporate a hob or sink, have split levels for cooking and eating areas, as well as provide additional storage space underneath. Include a worktop overhang at one end and you can create a useful breakfast bar. If you have room, a stylish stand-alone island unit can be a brilliant addition to any kitchen.